The 3-1-1 liquid rule which states that each passenger must carry liquids, gels and aerosols in travel-size containers that are 3.4 ounces or 100 milliliters. BASSETERRE, St. Kitts — Airline passengers should always adhere to security and safety procedures to ensure hassle-free travel, according to Senior Civil Aviation Officer within the Ministry of Foreign Affairs and Aviation, Royston Griffin. He stated that the idea of aviation security is to say something when you see something. People need to rid themselves of saying it’s not their business. “Aviation is everyone’s business,” said Griffin. “It is not just the security at the checkpoint; it is not just the air carrier, but every single citizen and every traveller. It is the business of all of us and in order for us to have a safe and secured environment, [we] must be involved to ensure that our state is safe and the travelling public as well,” said the senior civil aviation officer. According to information from www.tsa.gov, the 3-1-1 liquids rule was implemented as a result of the August 10, 2006, incident when authorities in the United Kingdom arrested a group suspected of planning to blow up a large number of airplanes bound for the United States and Canada using a sports drink and other chemicals to make an explosive cocktail. In the aftermath, the Transportation Security Administration (TSA) banned all liquids in carry-on baggage in flights leaving from or going to the United States. 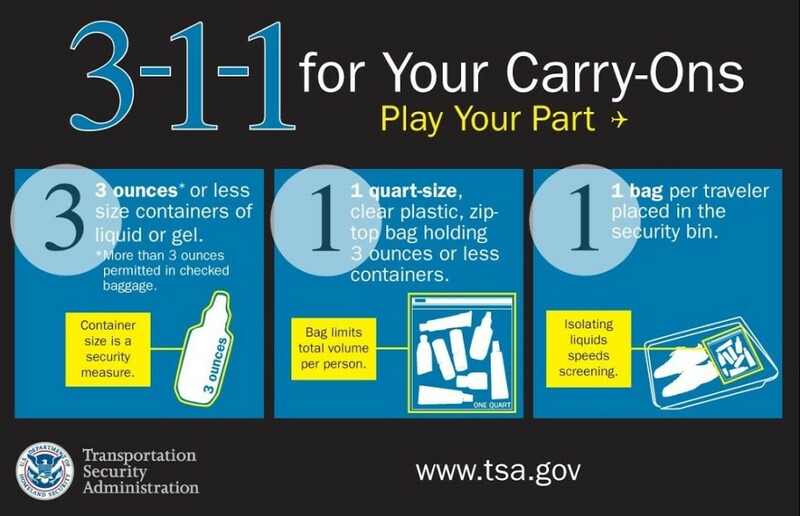 After rigorously testing liquids, the TSA implemented the 3-1-1 rule in September 2006.